A slowdown in the selling activities of speculators, coupled with an increase in demand for physical gold from Asian buyers is leading many analysts and market observers to adopt a more bullish outlook on gold. Recent high-profile sell-offs from two of the biggest names in trading, George Soros and John Paulson, have exerted a downwards pressure on prices of late, but this is not necessarily indicative of the long-term trend. At the moment, the biggest single factor in the immediate prospects for gold is the US Federal Reserve’s plans to cut back on its $85 billion per month bond purchasing programme, with the proposed ‘tapering’ widely expected to begin in September. At present, there are question marks hanging over whether the US economy is strong enough to withstand the withdrawal of quantitative easing, which has boosted employment but created dangerous asset bubbles in the market. However, bond yields have been rising in anticipation of this event, increasing the cost of credit in the real economy. Yet, there are several reasons to be bullish on gold. There are some signs that the Eurozone crisis is bubbling up again, with talk of a further bailout for Greece from German finance minister Wolfgang Schaeuble. This has stoked fears about the health of peripheral economies, and the survival of the single currency. This could stoke demand for the insurance that assets such as gold provide in times of uncertainty. Basically, if we start to see the word ‘crisis’ in the headlines again, economic confidence will take a knock, and the Fed might hold back the tapering process, especially if inflation is weak. A continuation of the bond buying programme would be a huge boost for gold and would most likely bring lots of speculators back into the precious metals fold via ETFs (Exchange Traded Funds). Even if tapering goes ahead as planned, gold’s recovery could carry on into October due to ongoing demand from Asia and seasonal factors. 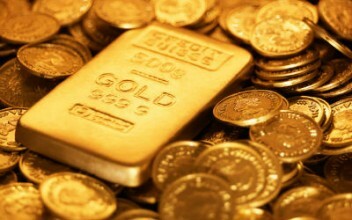 A rise above $1,400 per troy oz could see momentum players jumping on the gold bandwagon. While it’s unlikely that highs such as the price of $1,921 in September 2011 will occur again any time soon, we could see a bull run as a result of a burst of inflation through an extension of central bank liquidity programmes, which could occur if economic growth weakens or the financial crisis returns. Therefore, gold speculators will be keeping a close eye on developments in the Fed’s proposed tapering programme.